So… it’s finally time to post these. I’m not going to try and give you the backstory to these covers as part of it seems to be quite the mystery. I’ll tell you the two things i do know for certain though. 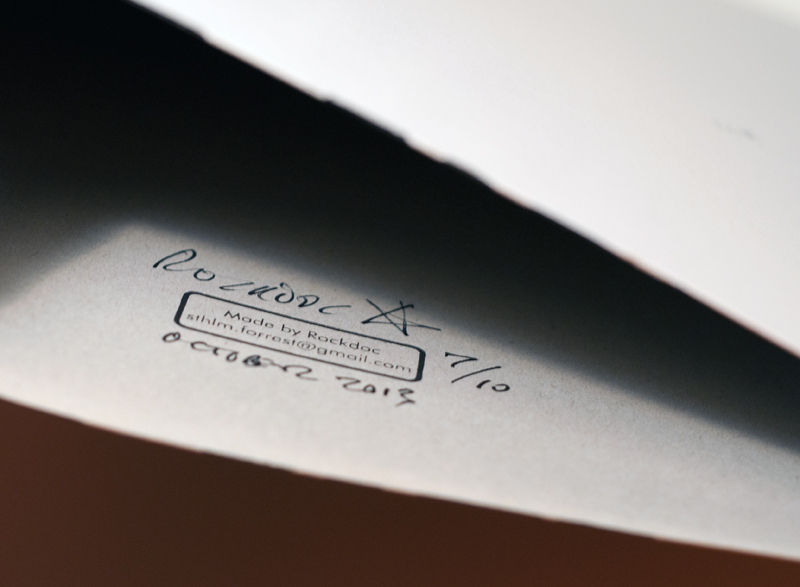 The first thing is that instead of bying an original and signed copy of this album you could buy a fairly decent car. 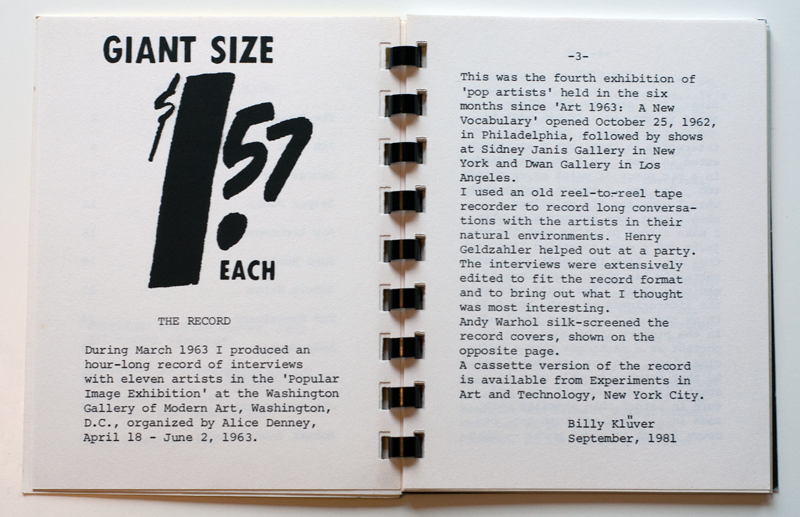 And the other thing is that the 75 copies which were produced in 1963 for an exhibition called “Popular Images” at the Washington Gallery of Modern Art were all black on white. 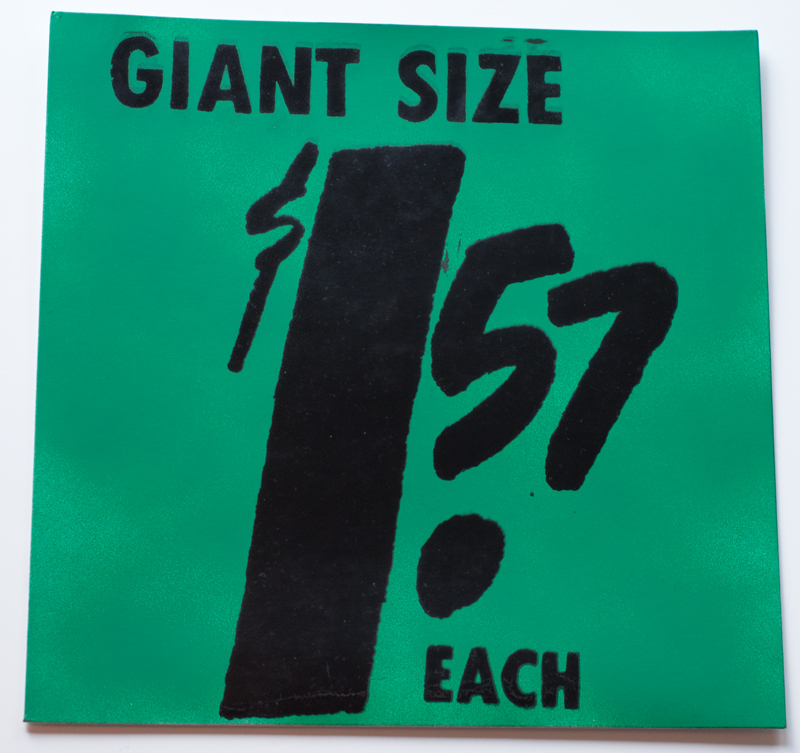 I have never seen an original and signed copy but i have seen an unsigned black on white copy that had the album to go with it (which i guess is a clear indication that it was made in 1963) sell for almost $3500 at swedish site Auktionsverket. Also, Billy Klüver grew up in Sweden. Who knows if he took some covers back with him here when he came to visit later in life. Maybe there are boxes and boxes hidden away in a storage room here somewhere, or maybe not… If you want more on the backstory of this cover i’ll direct you to two excellent posts on Richard Forrests blog here and here. I actually got a new car this weekend so that completely wiped out the budget for an original copy. I guess i could still try and get one but then i would probably have to start living in the car since my girlfriend would kick me out. And it’s a small car too…. So, once again i’m very happy and thankful that Richard Forrest is quite an artsy craftsman. 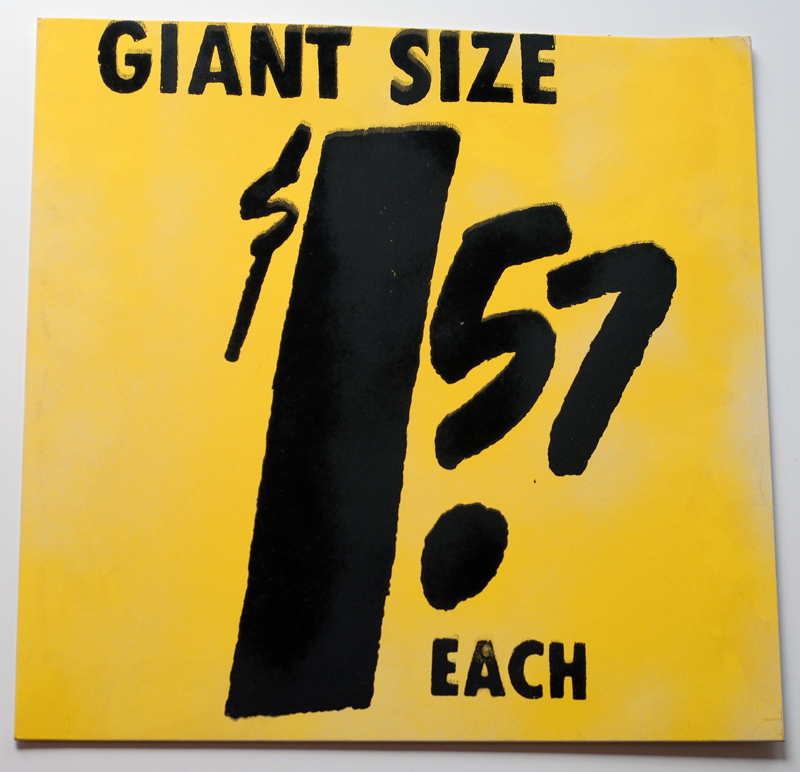 He told me a few months ago that he was planning to attend a silk screening course and then try and recreate the cover to Giant Size $1,57 Each. And as with the Night Beat box the result is just stunning! All five color variations are represented and they all look truly amazing! It’s a great and charming detail that the positioning of the “logo” is different on all five covers, evidence of truly individual silk screening. Very impressive and inspiring work, as always! My favourites are probably the white and the green one, i usually like those color combinations. Thank you so much (again) for these Richard! 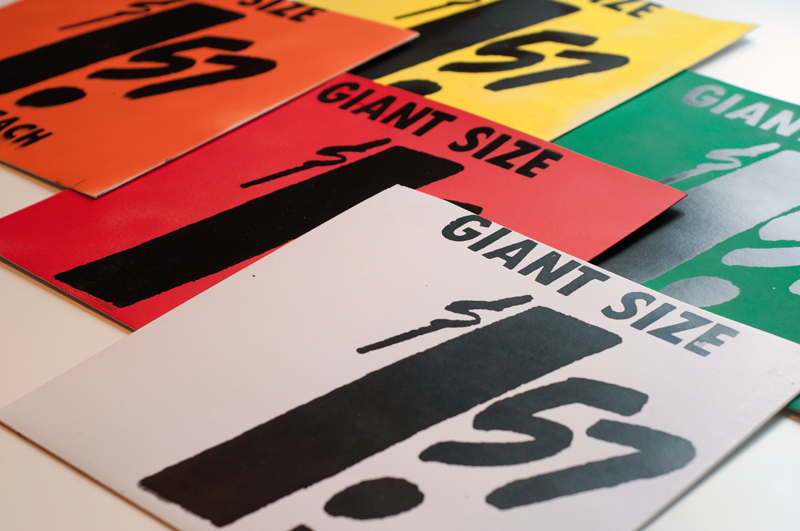 They are an amazing addition to my collection and i am pretty sure that i’m currently one of the very few who have individually handmade and silk screened copies of all five color variations. They are even signed! And there is no doubt about when either. I actually missed this when i recieved the covers but after a little help and some further investigation i found it, a very cool and funny detail! During the week i’ve also seen a few new “fake” covers on ebay, at least they are new to me. 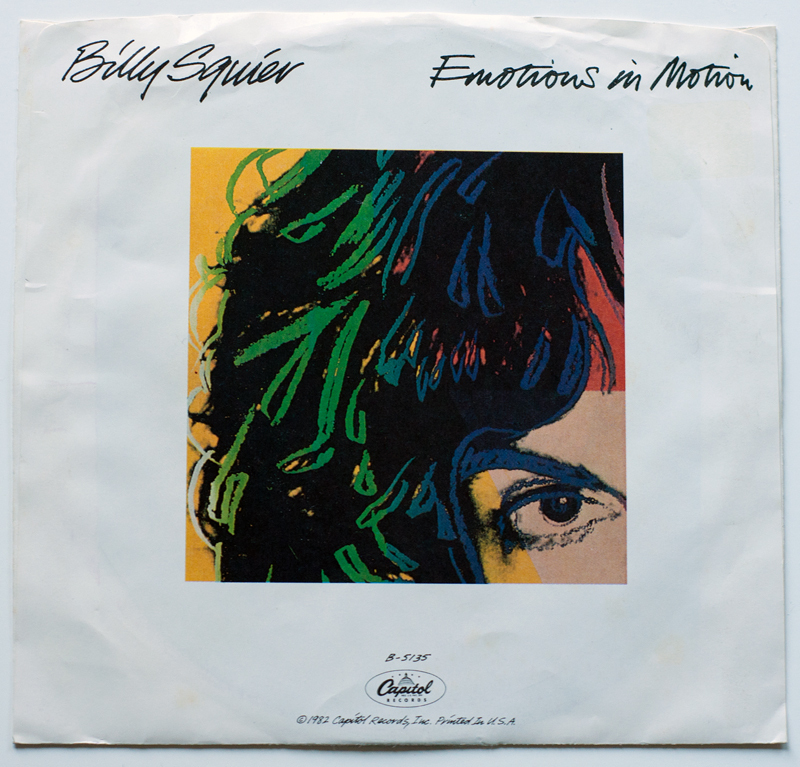 Frank Edwards has posted here about some common “fake” covers that pop up now and then and that the sellers advertise as a “Warhol cover”. I’m by no means an expert but to me these two covers are definately not by Warhol and should be avoided and added to the “fake list”. A little surprising though that both sold, one even at such a high listing price as $100. This is probably my favourite of the dust jackets that i’ve come across so far. When i first started collecting these i got the impression that this was one of rarest ones and that finding one would prove to be very difficult. So i almost fell out of my chair about 4-5 weeks ago when one day i saw it listed on ebay for a very humane $40. I was even able to do a little bit of haggling and eventually got it for $30. 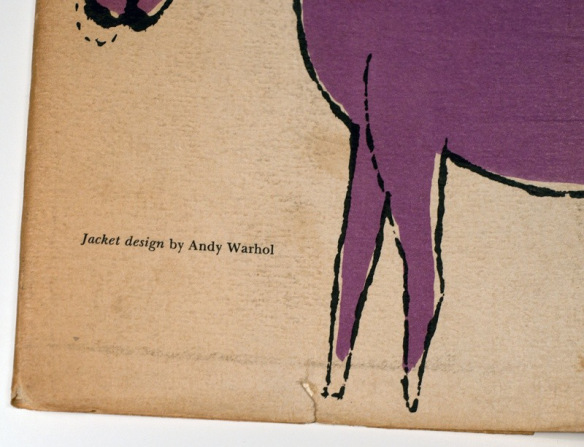 I’m not really sure how rare it is though, especially since noted collector Guy Minnebach has made me aware that there are plenty more Warhol dust jackets out there than i initially thought. Whatever the case, rare or not i still think that for $30 this was a real steal. There is one copy on ebay without the dust jacket listed at about $65 and there is also one at Etsy that has the jacket for $115. The condition isn’t great though. 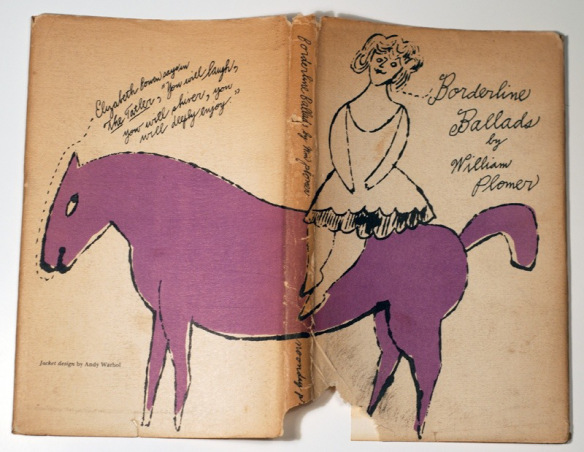 A little bit of discoloration, a piece torn off on the front cover and a smudge here and there. 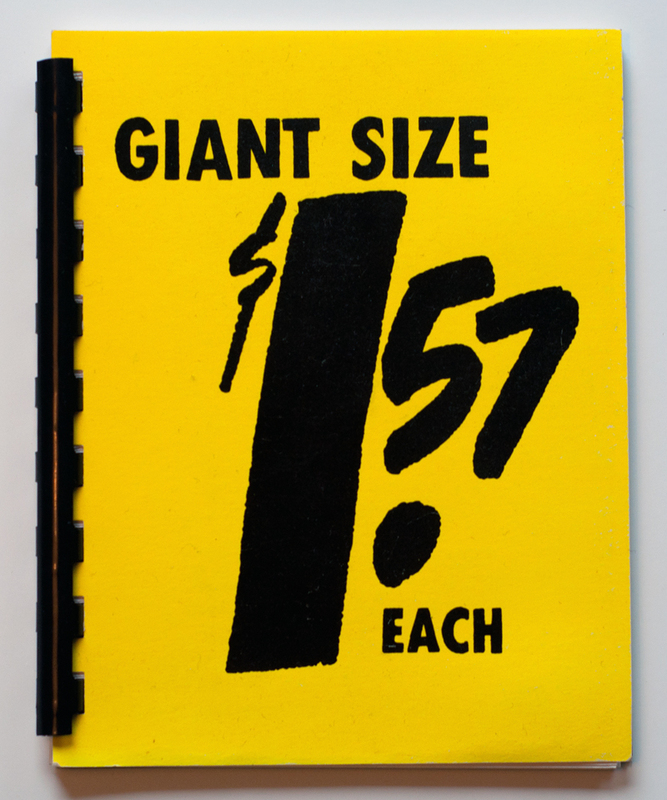 But to me this isn’t to bad for a book that’s over 50 years old, i’m more than happy with it. And since this is a bit of a lifelong side project on a small budget i think it’s more fun to pick up whatever books i can that are in at least decent condition than to wait years and years for a nice copy to show up that also has to end up being affordable. 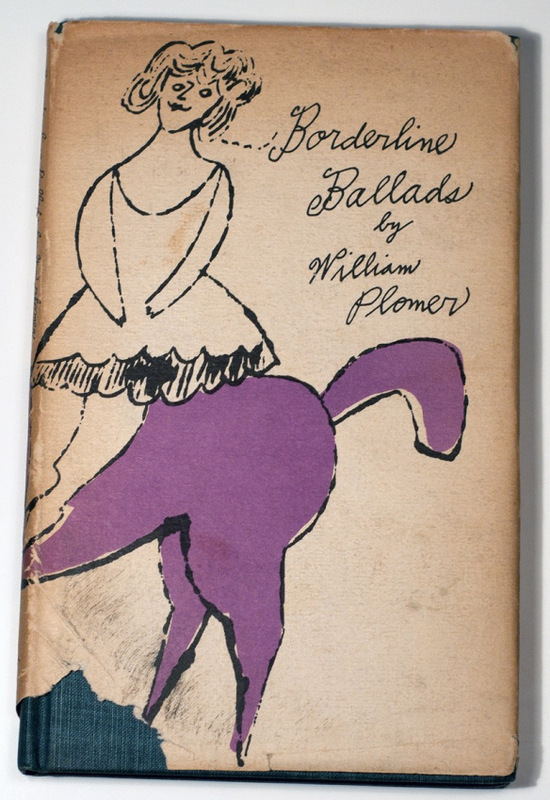 Under the dust jacket is a collection of poems by William Plomer, written over the course of almost 30 years though it apparently isn’t the first time that some of them are published. 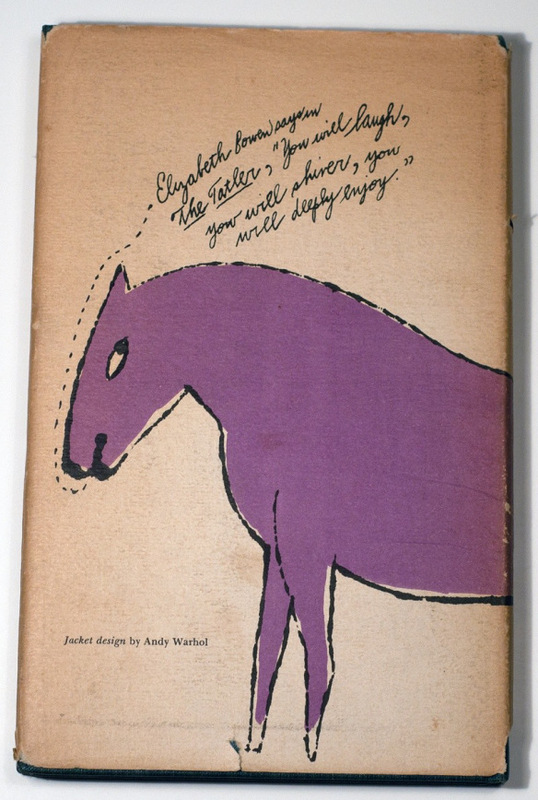 This collection was published in 1955 by Noonday Press and a cool thing is that Warhol didn’t only design the dust jacket. 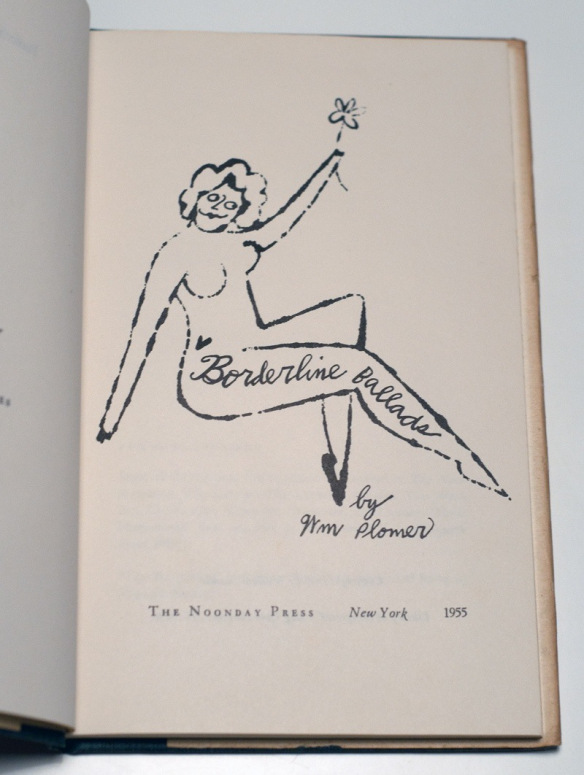 He also did the design for the title page as well as the calligraphy for the titles to all the poems. I particularly like how the design extends across both the front and back cover. Pretty clever. I also like the coloring and the fact that the horse, donkey or whatever is talking is pretty funny. 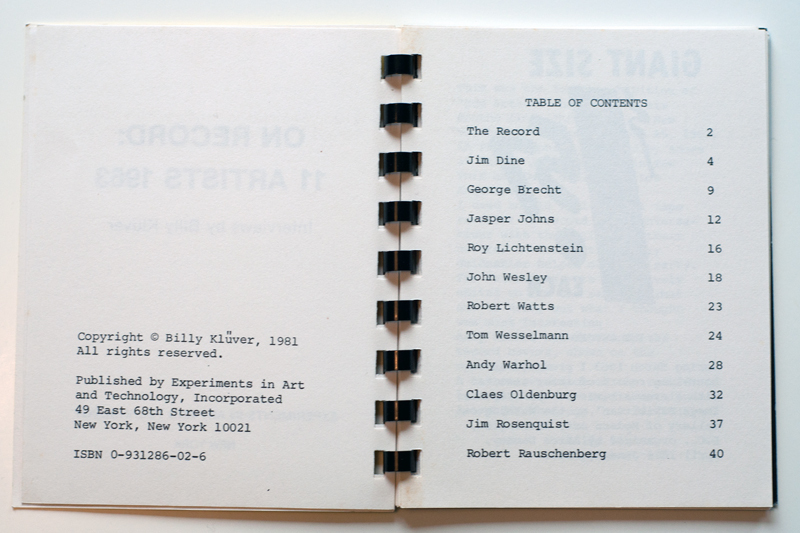 EDIT: I’ve just learned from Guy Minnebach that Warhol in all probability won one of his Art Directors Club award for this design. His hall of fame page don’t mention the Borderline Ballads specifically but it does credit his work for Noonday Press for one of the awards, so most likely this was it. Thanks for the info Guy. I love the Howard Stern Show. I used to listen to it every day but now i rarely find the time for it during the week and have to catch up as much as possible during the weekend. Today i listened to an old interview i hadn’t heard before with Zack Braff from Scrubs. Among other things he talks about a cool site called Kickstarter through which he raised more than two million dollars in 24 hours to fund his upcoming movie. 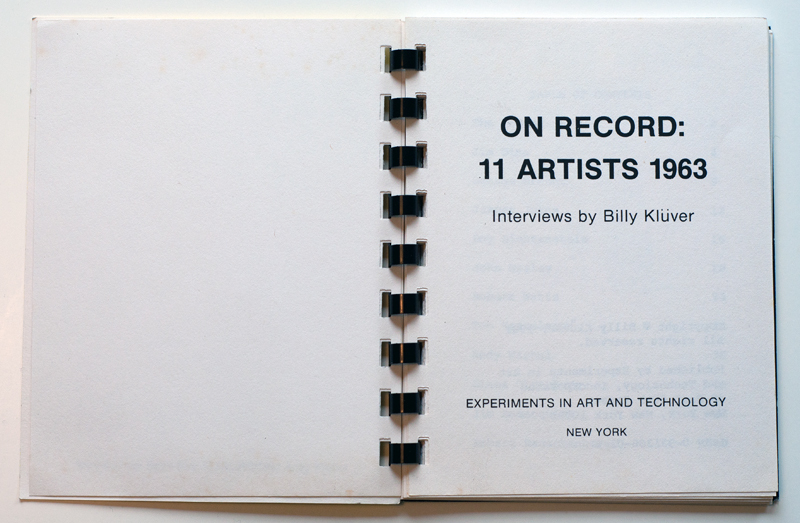 I hadn’t heard about this site before but it’s basically a site where anyone can pitch their idea – mostly regarding art, design and music i think – and then anyone who likes the idea can make a pledge to help fund the project. And then you get something in return depending on how much you donate. You set a goal and a timeframe and if you hit it – great! If not, all the pledgers get their money back. A pretty cool idea. 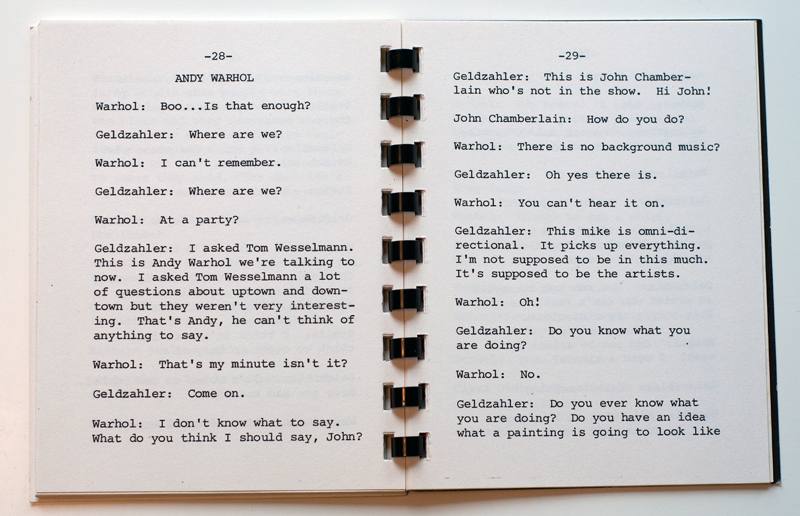 So, i was looking around the site and eventually found a very interesting and fun project on Andy Warhol. 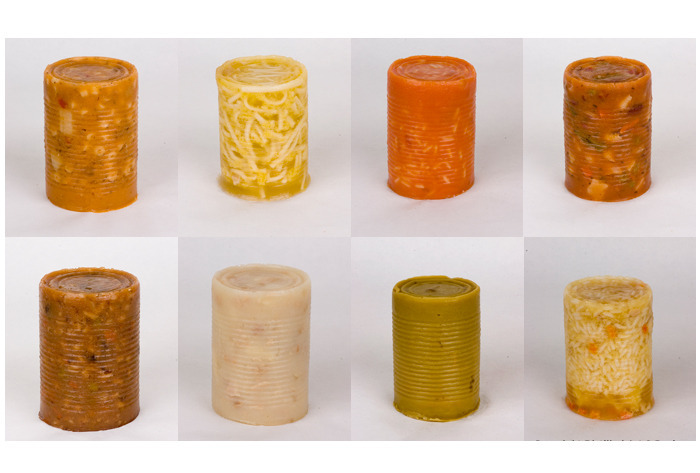 The girl behind the project calls it an “an artistic homage to Andy Warhol’s soup can series with an updated twist” and i guess that’s pretty acurate. So far she’s raised $595 and needs about $1000 more within the coming month or so to make it happen. I hope she gets it, i thought this was a really cool and funny idea that i hadn’t seen before. 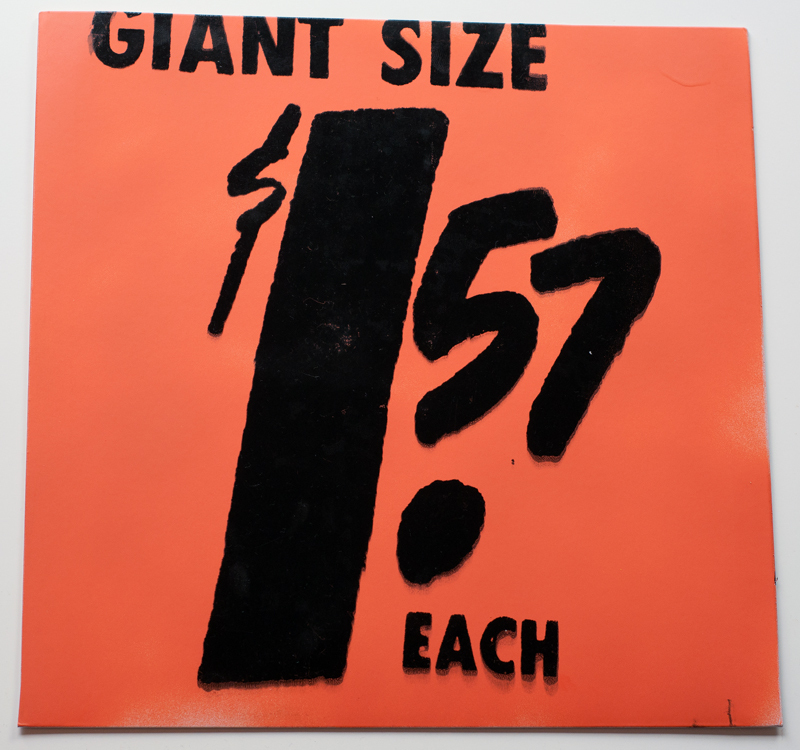 The holy grail has been found, sort of… This is the All Lights Fucked on the Hairy Amp Drooling of Warhol covers – few were made, given to a selected few and no one knows how many survived. And i’ve been looking for that one for more than 10 years. 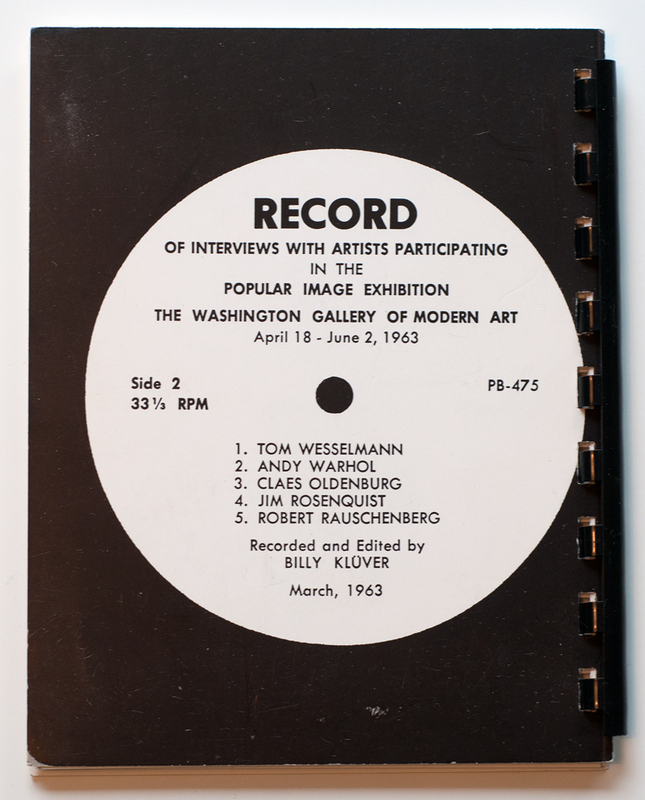 Luckily this didn’t take me that long to find, or at least kind of find… From what i’ve learned from other collectors there is probably only one known copy of this and that’s the one in Paul Maréchal’s collection. Richard Forrest writes in this excellent post on the topic that he has learned that most radio stations that got a copy most likely threw them out once the episode was broadcast. So… it’s goes without saying that this is basically impossible to find. The few who read this blog might recall the post on The Nation’s Nightmare and how lucky i was to have come to know Richard Forrest. And this hasn’t changed. 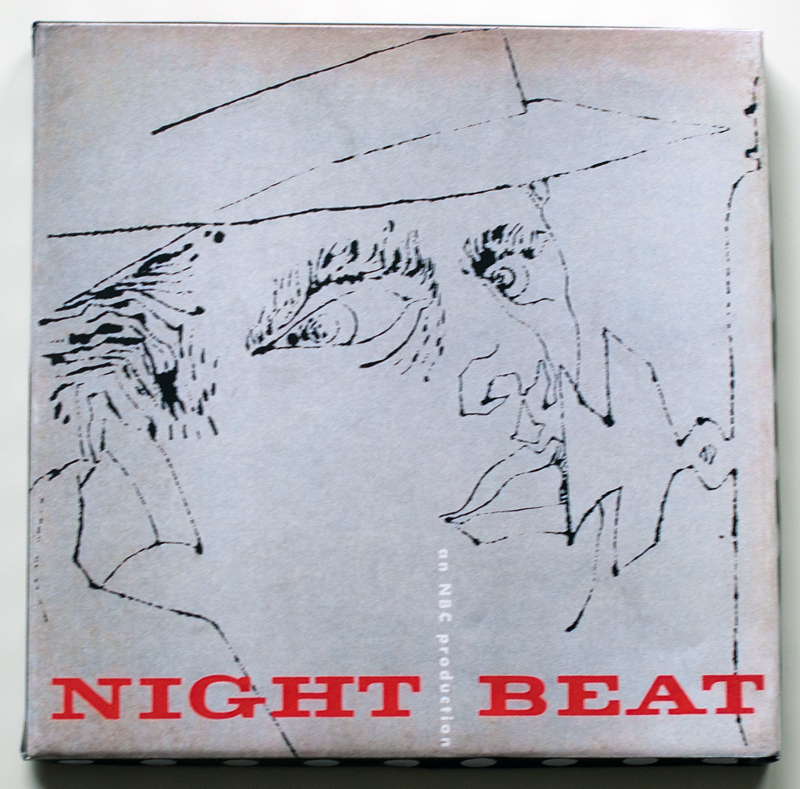 A while ago he told me about his plans to create mock-ups of the Night Beat box and also how he planned to silkscreen Giant Size $1,57 Each covers. 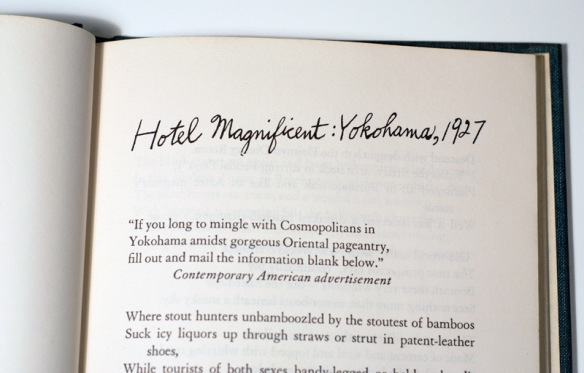 He also posted about it on his blog here and here, really great and inspiring reads. And yesterday i got to see the result when i picked up the package, and what a package! 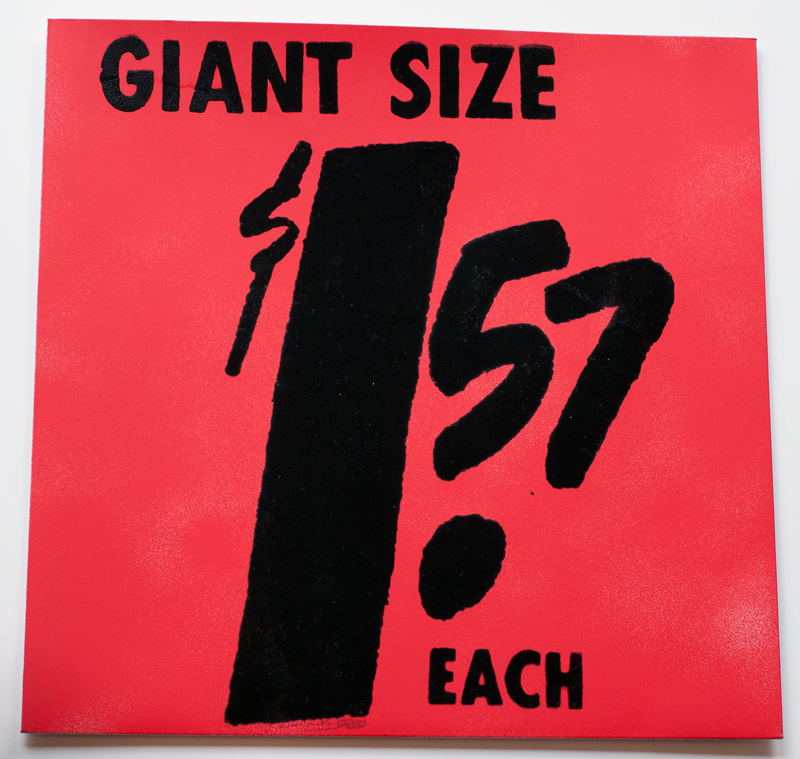 I’ll get to the five different variations of Giant Size $1,57 Each in a later post but the result is just stunning! Everything looks absolutely fantastic! 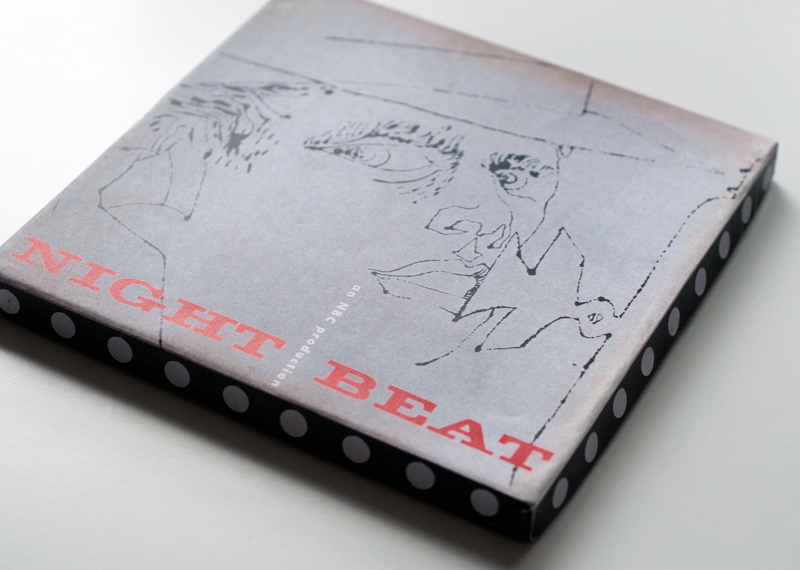 The original box consisted of 3 EPs and was released/sent out in 1949 to promote a radio show on NBC called Night Beat. It is of little importance but i think the catalogue number is NBC EO-CX-342. The series was broadcast between February 6, 1950 and September 25, 1952 and i think there were 77, 75 or maybe even 73 episodes made, depending on how you look at it. Naturally my box contained zero EP’s and zero episodes so as was the case with The Nation’s Nightmare i’ve had to look for the audio elsewhere. At first i turned to YouTube and found several episodes there. I also tried to contact all the people who put up the clips on YouTube to ask where they got them. Just on the odd chance that one of them would have the box and also be slow enough to be willing to sell it for $100 or so… I haven’t heard back from any of them yet and i most likely won’t do so either. So then i did some more digging and found a site called the Internet Archive. I haven’t had a chance to check it out too much but it has, what i assume are, all episodes ready to stream and/or download for free. The site has 77 episodes listed, the two first are listed with (Audition) after the title. I’m not sure what this means and there are also four episodes in the list marked with (Special rebroadcast), so this is why i’m a little uncertain as to the number of episodes in the series. I’ve already started to work my way through it as this kind of stuff is right up my alley. Love it! But back to the beautiful box. It’s absolutely perfect down to the last detail, it even has the black and white dotted line around the edges that i have now learned was made to resemble the perforated border present on film. I was almost afraid to touch it at first and let alone open it. 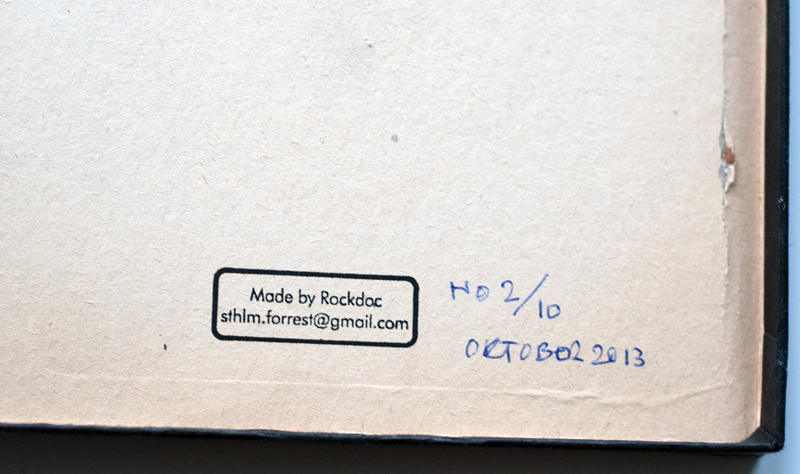 But when i finally did i noticed another great detail, the boxes are signed and numbered in an edition of 10 pieces. I can’t ever thank you enough for this Richard, you’ve really given me some great additions to my collection. Thank you so much. Probably my least favourite cover. 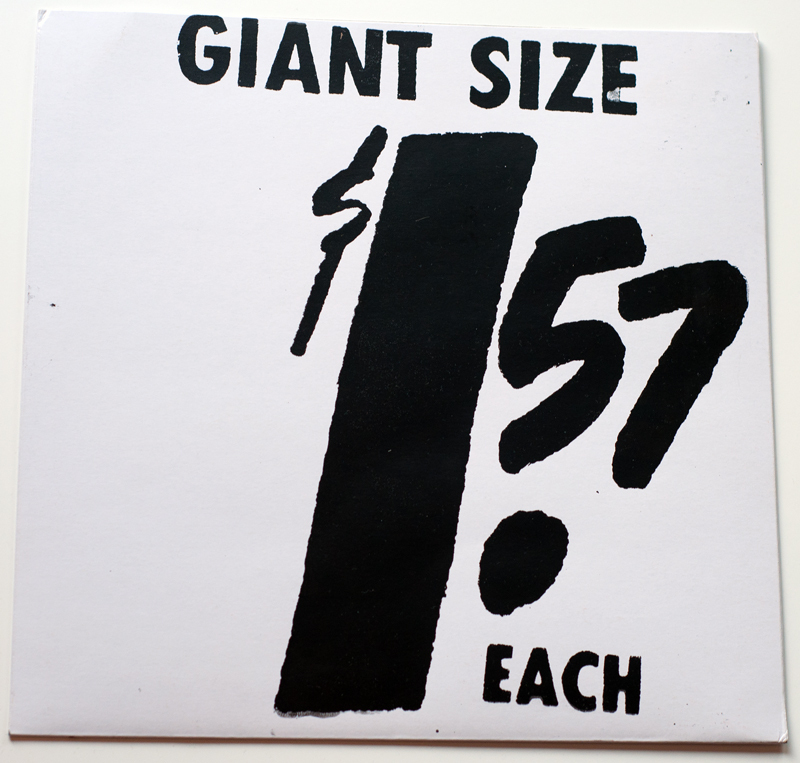 It’s one of the most common and copies can be found on both ebay and discogs for $10-15. I don’t know quite what it is but i just find the design very boring and almost on the verge of lazy. I’ve even been a little hesitant to get a copy but it is a “real” Wahol cover and as such it does have a place in any collection. With the lack of Boston Pops’s and Cool Gabriels on ebay it was almost pure boredom that finally made me get this about two weeks ago. I got it from ebay for a whole $7,50, and i was obviously bored enough to also pick up the single put up as a “DJ copy” for another staggering $5. 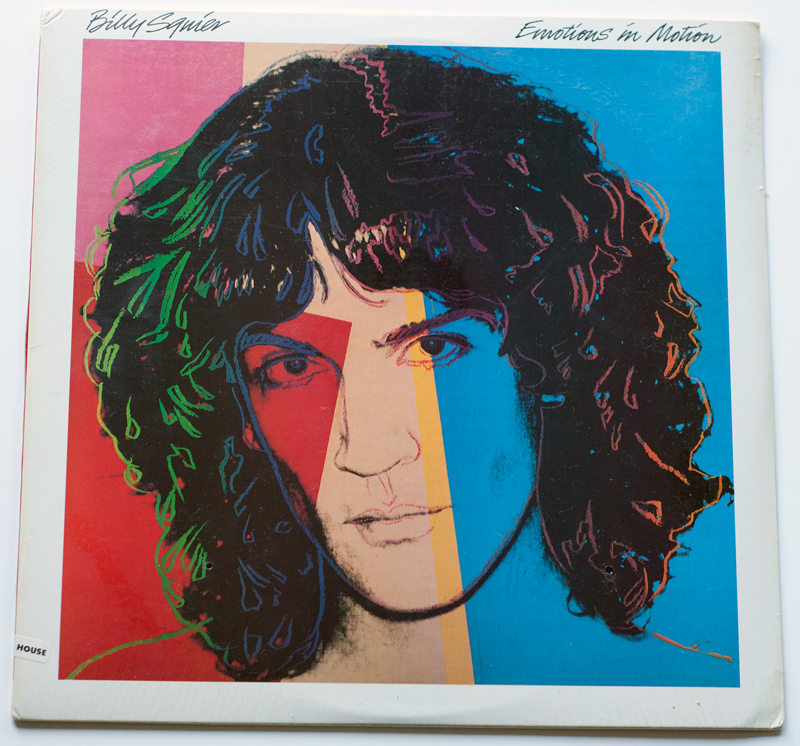 The LP is sealed and apart from a few small bumps on two corners it’s in mint condition. The single is a litte more beaten up with a semi split seam and a little staining. 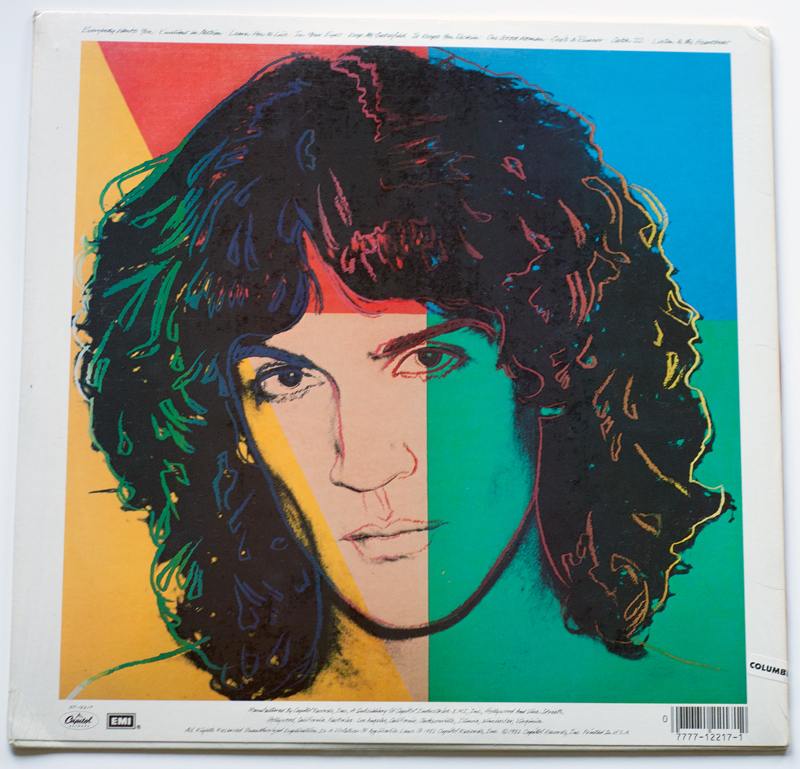 In an article in the Boston Globe Squier says he basically just called Warhol up and asked if he would design the cover, Warhol accepted and just asked what colors Squier didn’t like (obvously he likes all colors since the entire rainbow is present) and eventually – a boring cover was made. There is one funny thing about this design though, even if it’s a bit of a sidenote. 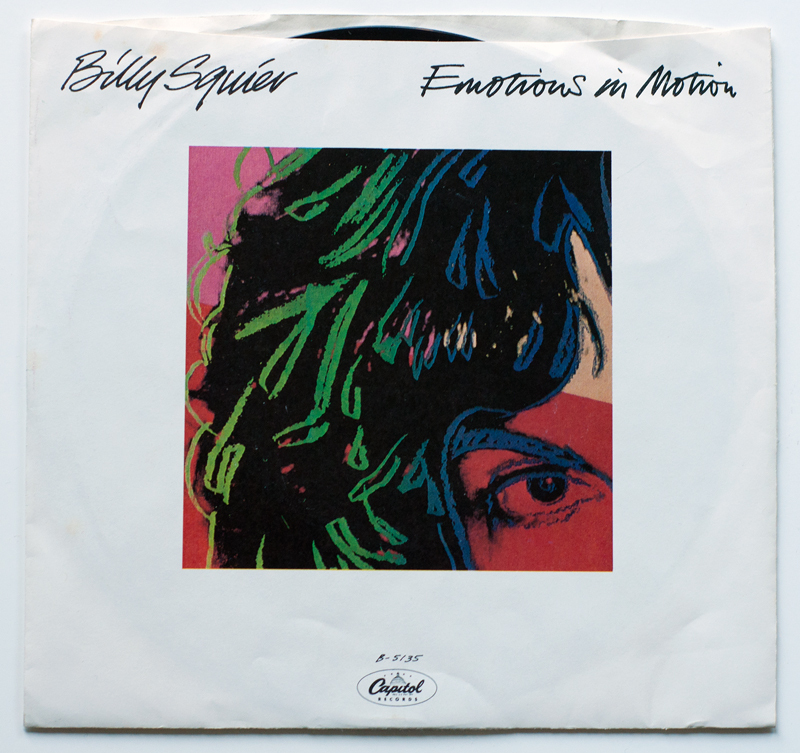 In the video to the song Rock Me Tonite from his forth album Signs of Life Squier wears a t-shirt with the design from Emotions in Motion. The video shows him waking up, dancing around while getting dressed and eventually putting on a pink tank top and performing with his band. The video is generally considered one of the worst ever made. In the book on MTV’s history – I want my MTV – it’s listed as the worst ever and there’s an entire chapter about the video. Squier also credits the video with ruining his career. But who knows, it might as well have been the lazy cover.